Like The Sound: Watch - Wretch 32 Channel 4 Interview. Watch - Wretch 32 Channel 4 Interview. 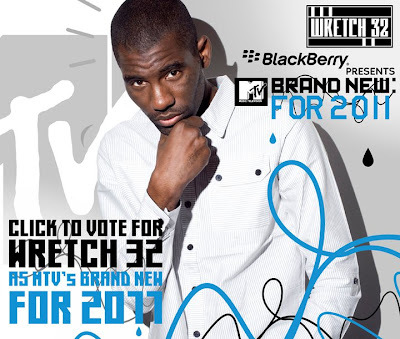 Having already collaborated with Chipmunk, Wiley, Sway and LikeTheSound's featured artist Mike Skinner, Wretch 32 is heavily supported by radio stations such as BBC 1Xtra, Kiss FM and Choice FM. and already has a popular twitter with over 31,416 followers, a blog and has his own website Wretch32.com you can expect to see Wretch 32 continue to achieve big things! !